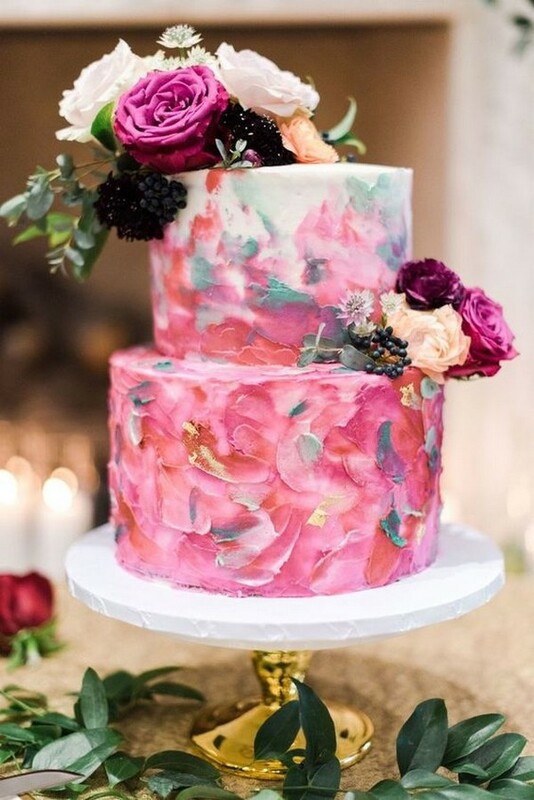 Naked and semi-naked wedding cakes have been on top for a long time but now buttercream ones are taking over them. 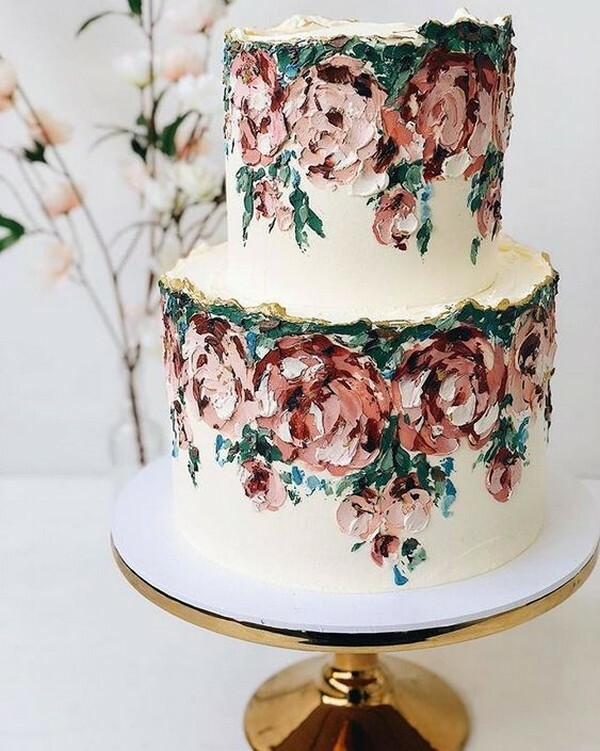 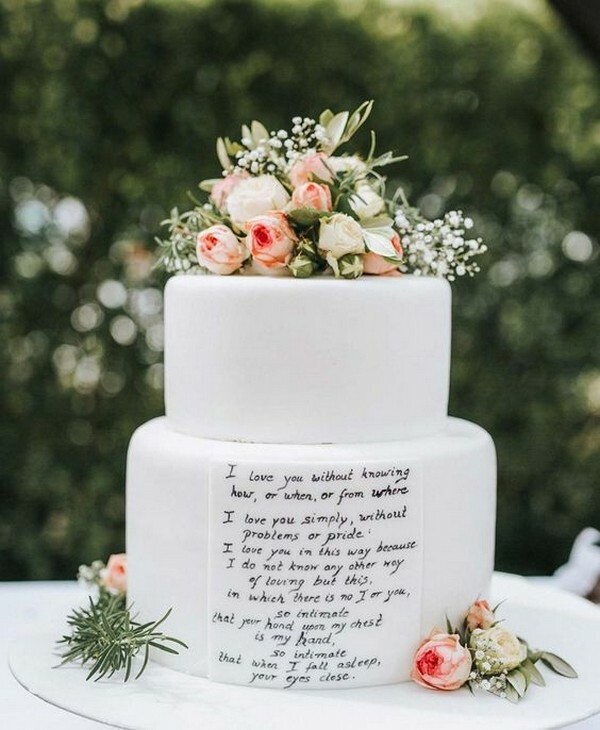 The hottest wedding trend of 2019 is hand-painted wedding cakes – from watercolor flowers to abstract brushstrokes, there are all kinds of looks, styles and themes. 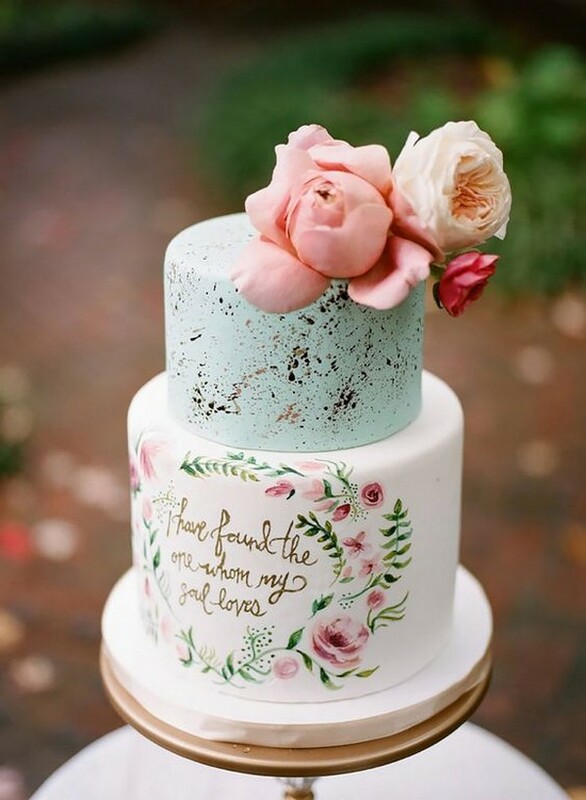 They will totally express your own taste and personality and you have the control of what they will look like. 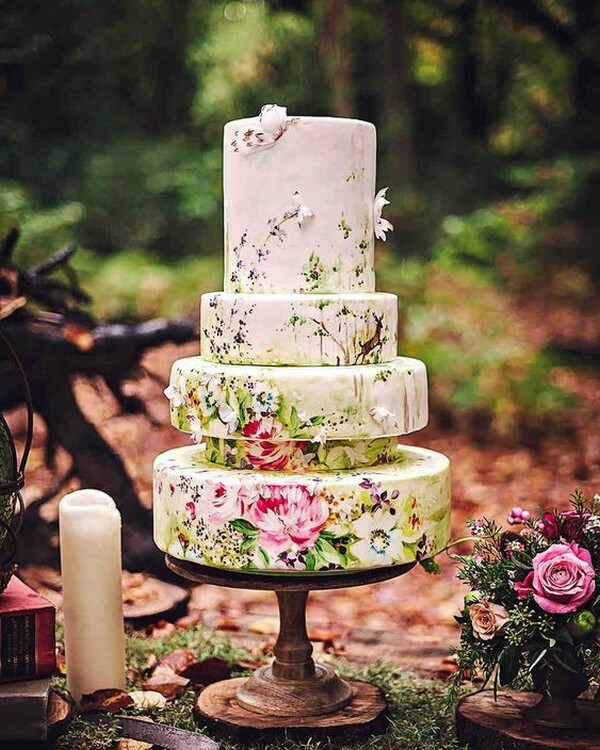 Check out these fabulous hand-painted wedding cakes and get inspired.